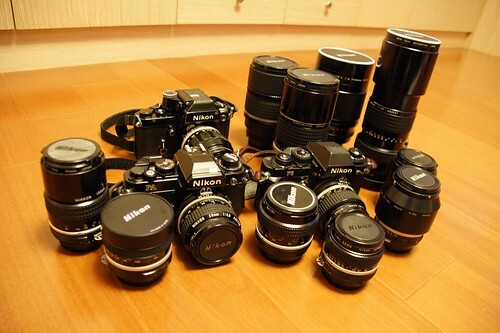 Aunt asked me to take care of cameras and lenses which grand father left. Even though I have not used traditional camera for a long time, I still take the responsibility for this work. Those cameras and lenses do not mean only photography equipment, also a part of our memory to grand father. So we decided to keep all of them, though we hardly to use them any more. 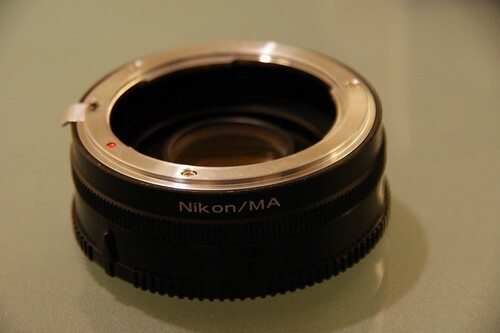 Recently, I found a vendor selling the converter for Sony DSLR to adopt Nikon lens, and it is not too expensive (NTD1,600, about USD48). So I got one for my Sony A350 to fit those old lenses. 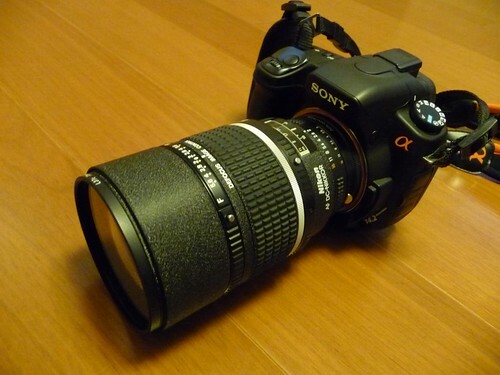 When Sony A350 works with old Nikon lenses, only can work under M mode and no auto focus function. But I am very happy that I can bring those lenses back to alive. They will not be just displaying items sitting in the dry cabinet.